Trincomalee is nestled on one of the world’s finest natural harbour along the east coast of Srilanka. The less travelled bank of Trincomalee beckon travellers with an intriguing medley of fascinating people, mysterious temples, Buddhist ruins, a charming town and virgin beaches. 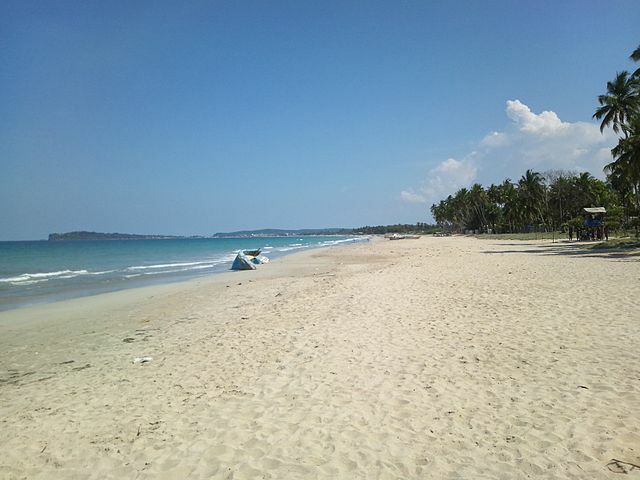 Trincomalee is one of the best beaches in Srilanka with beautiful white sand. It is surrounded by wildlife, hilltops and rock formations. Koneswaram Temple is perched proudly on top of the famous Swami Rock, standing within the boundary of Fort Frederick. The Koneswaram Temple is one of the famous Hindu Temples in Sri Lanka. It was earlier known as the “Temple of a Thousand Pillars”. Koneswaram Temple is famous for its soaring Shiva shrine, a fascinating history and of course the surreal panoramic views of the surroundings. There is a space where one will find small cradles tied to tree outside the temple. They believe that when couples aren’t able to have children, they pray at the temple and tie a cradle to the tree in hopes that they will have a child. Snorkel at Pigeon Island: a 10 minute boat ride out of Nilaveli Beach is a small island with super clear water and a small white sand beach with powdery white sand, glittering rocks, pools and the shallow turquoise waters. This island makes this a memorable trip along with ample snorkelling opportunities right off the beach. It is better to make your trip to Pigeon Island in the morning or afternoon. Don’t forget your snorkel gear. Fishing in the mangroves: Experience the serenity of the mangroves at dusk and the slower rhythm of life of the local fishermen. Marvel at the abundance of Srilanka endemic and migratory birdlife and other wild life such as crocodiles, monkeys and possibly elephants in the beauty of an untouched paradise. Whale watching is recognized as one of the best vantage points by Oceanographers. You don’t have to miss the opportunity to spot blue whales and sperm whales. Small boats carrying a maximum of six passenger zoom about 30 -50 km into the ocean where one can easily spot whales playing, swishing and if you’re lucky their acrobatic skills. Nilaveli Beach: A trip to Trincomalee would be incomplete if you don’t visit the splendid coastal resort towns of Nilaveli. Nilaveli is certainly one of the most deserved tourist attractions of Srilanka. It is an ultimate a tropical getaway for those looking to romance the soft, white sands and the gentle tides spewing out from the ocean. Chill at Fernando’s: One of the most famous bars in town is Fernando’s .Located right on the beach this chill out bar offers some good drinks and music. Enjoy the sunset in a hammock. Do not miss the Jaffna Chilli crab at The Crab restaurant at Trinco Blu. If you’re seafood lover this preparation will make you set new food goals. Kanniya (Seven Hot Wells): the Kanniya Hot springs is believed to have first been mentioned in the Ramayana. The seven hot wells have seen water temperature varying from lukewarm to extremely hot. Religious people come to these seven hot wells to bathe. Where to stay: There are best areas to stay in Trincomalee just outside the city’s center near Fernando’s bar. There are plenty of great restaurants around and one can easily visit Nilaveli + Pigeon Island or the other side of the city like Fort Frederik. Some of them are Trinco Blu by Cinnamon, Palm Beach resort and Anantamaa Hotel. Addition Locations to visit include the Commonwealth war cemetery, natural harbour, local Dutch lounges and the Trinco market area. 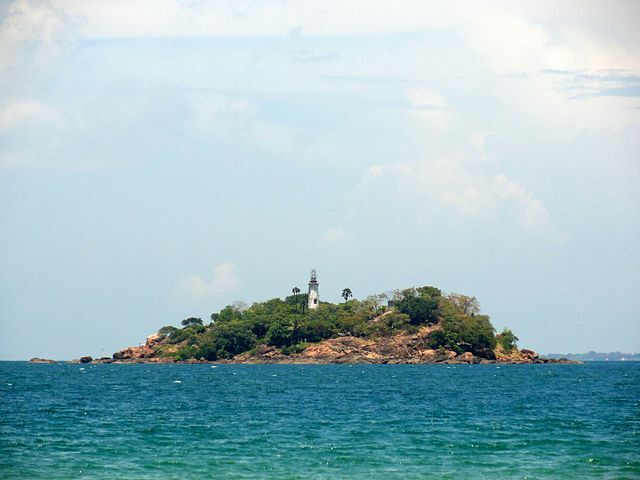 There are also temples that are worth visiting around Trincomalee and Nilaveli. Besides visiting and spotting, lazing on the beach and going for a swim are two other activities you must do. So put on your travelling boots, sprinkle some wanderlust and join us on a sojourn to explore the best place to visit in Trincomalee Srilanka.